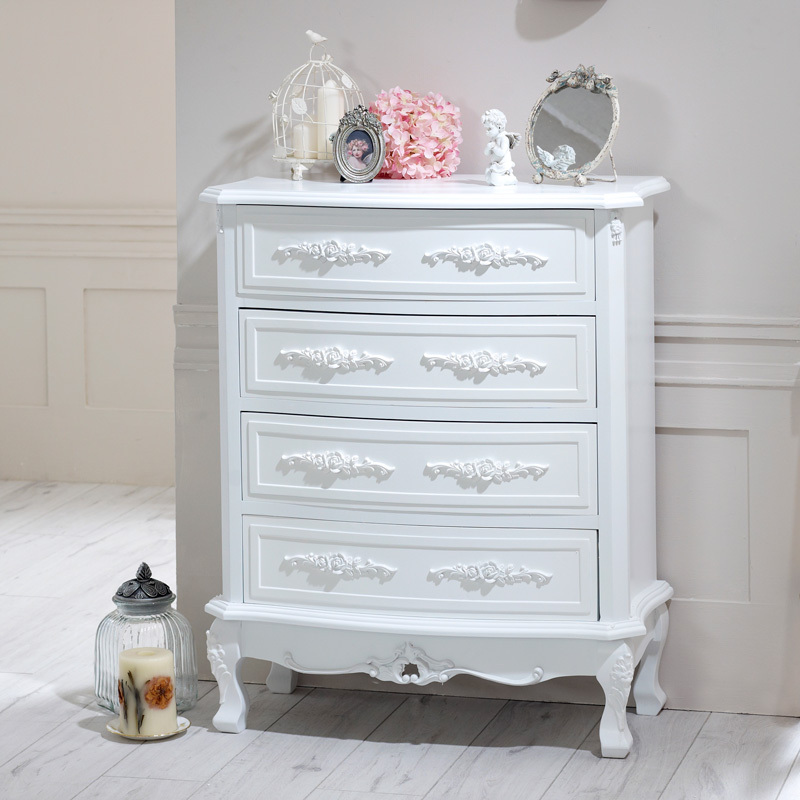 White 4 drawer chest of drawers- Rose Range Part of our stunning Rose Range is the white painted 4 drawer chest of drawers. 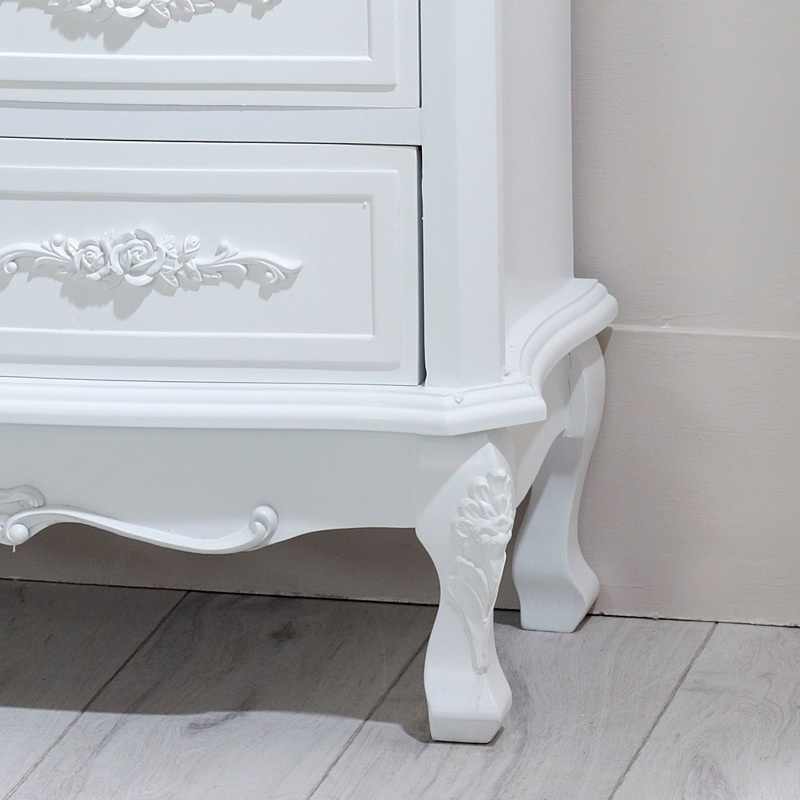 With a white painted finish and rose design detailed carved handles these drawers will really give your room a French feel. 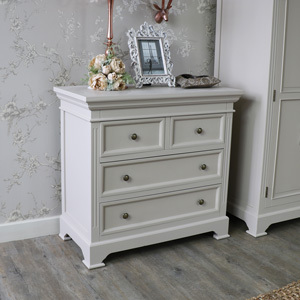 These drawers are perfect for anyone who loves the shabby chic style and really add elegance and sophistication to a room. 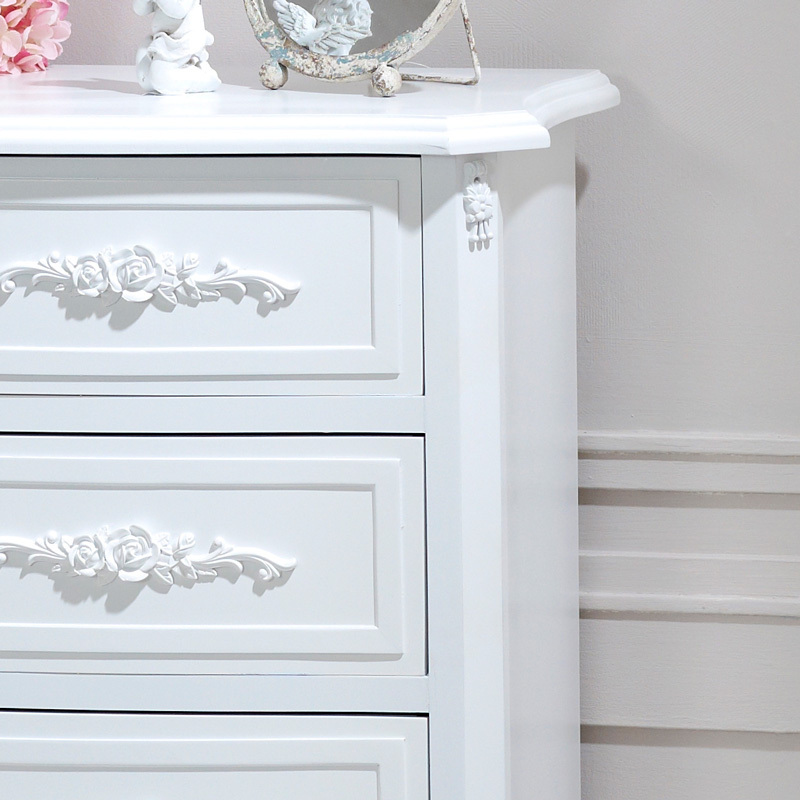 Part of our stunning Rose Range is the white painted 4 drawer chest of drawers. 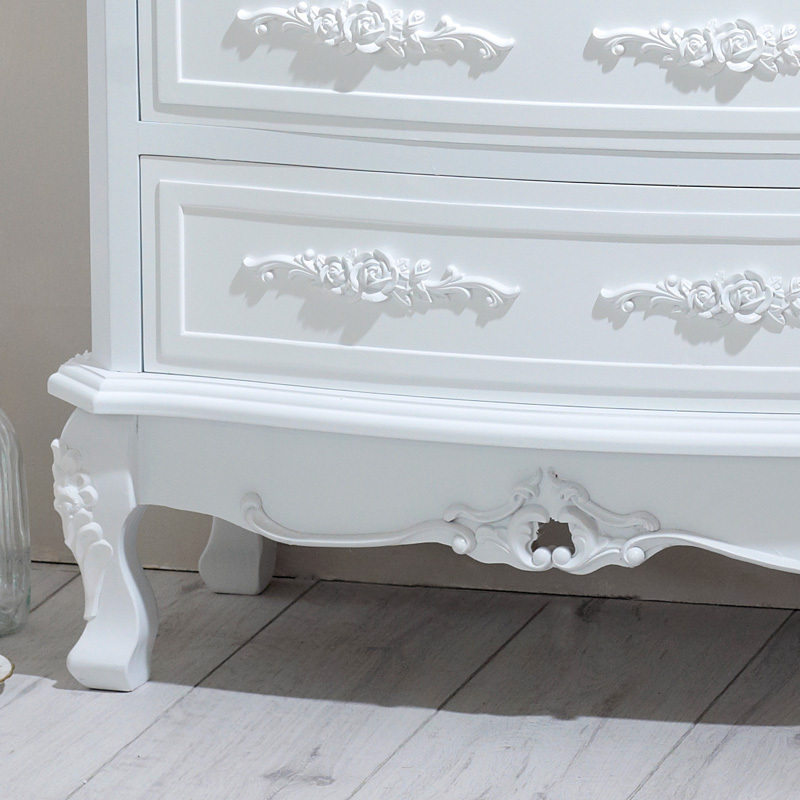 With a white painted finish and rose design detailed carved handles these drawers will really give your room a French feel. These drawers are perfect for anyone who loves the shabby chic style and really add elegance and sophistication to a room. This 4 drawer chest of drawers is just one of our various pieces in the gorgeous Rose Range available on our website. 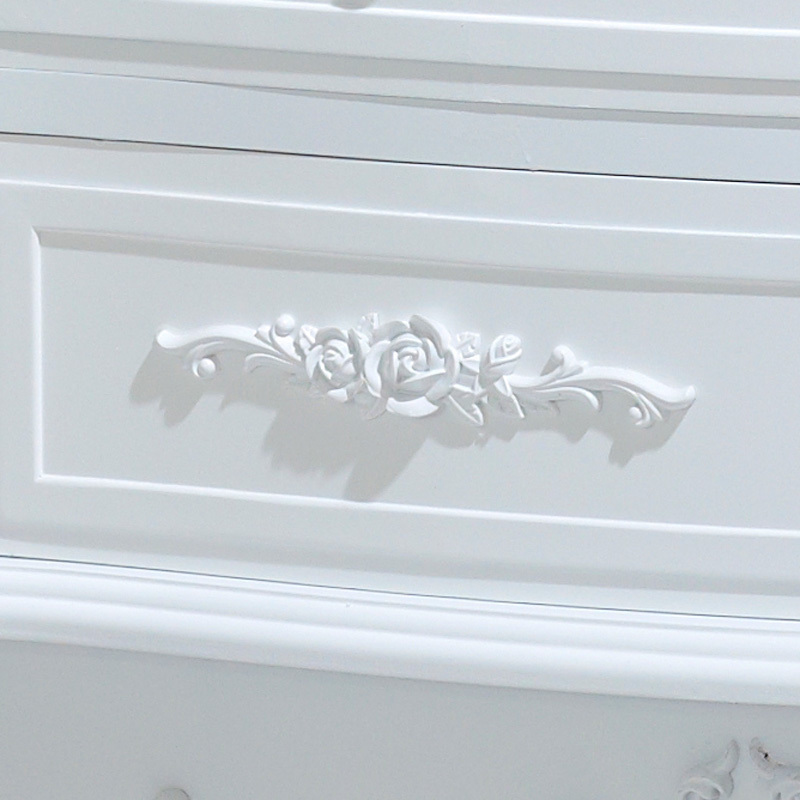 From the Rose range, this is an White 4 drawer Chest with rose detailing on the 4 full-width drawers. 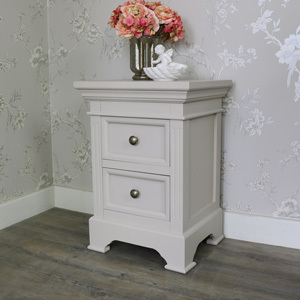 Made from wood, the chest is painted White and has a carved fascia and classically styled sides. Its legs are carved too and the drawers have carved roses as knobs. 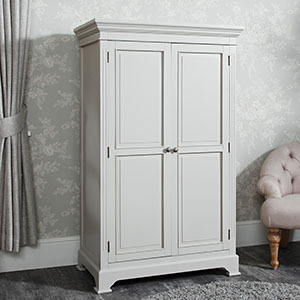 There are other items in this range to complete a French look in your bedroom or other rooms. Its dimensions are 81 cm x 98 cm x 40 cm (width x height x depth) and the drawers are 16 cm high, and 62 cm wide.